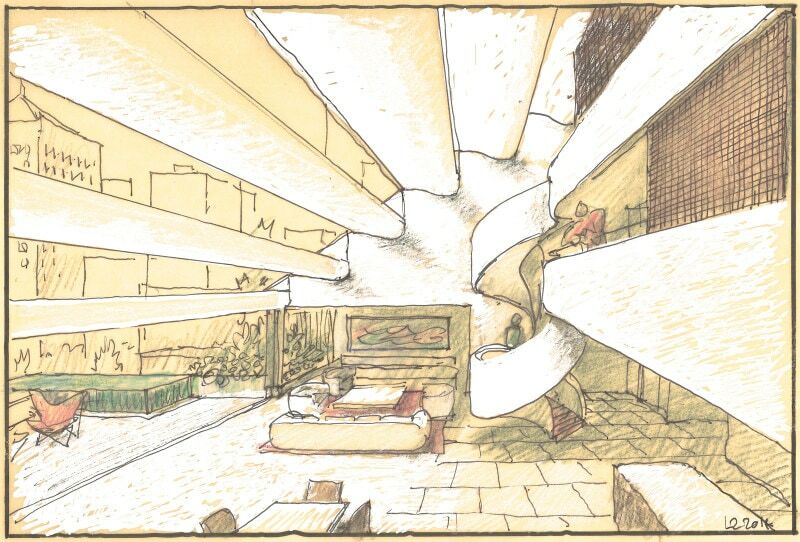 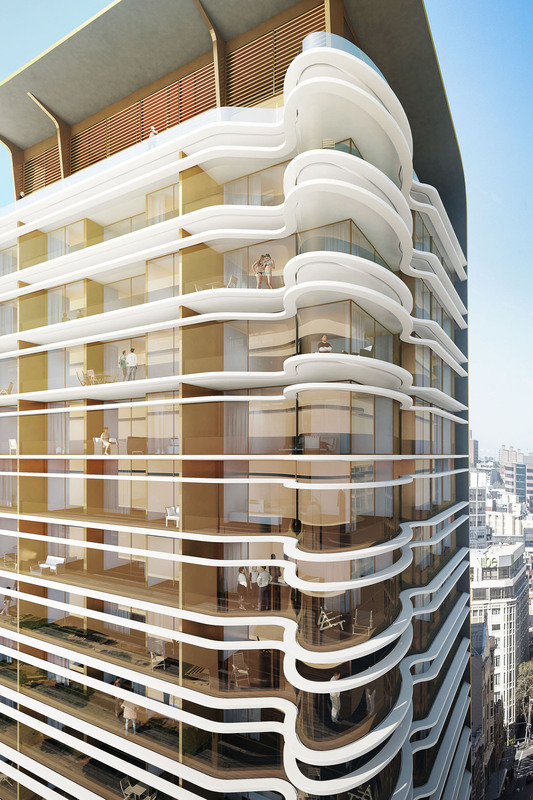 Two recent projects of high rise apartment buildings have been a logical segue from Luigi Rosselli Architects’ successful smaller scale residential designs. 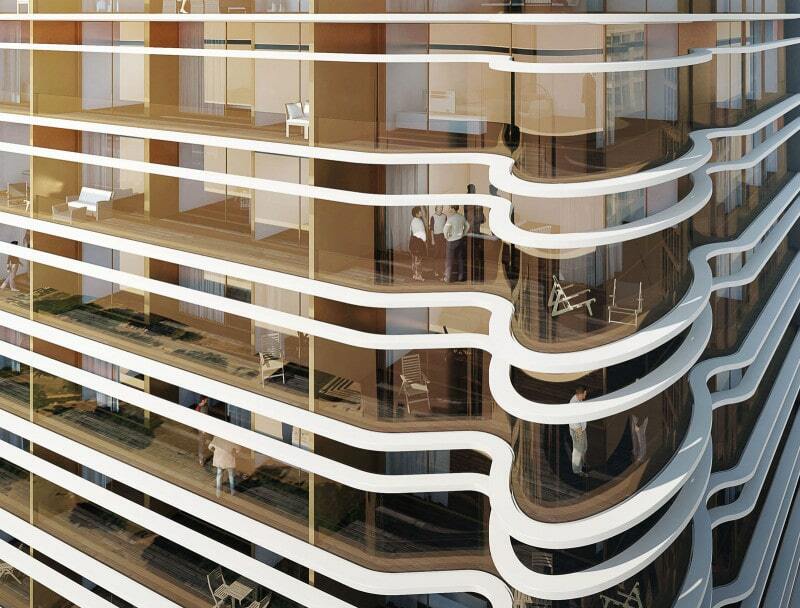 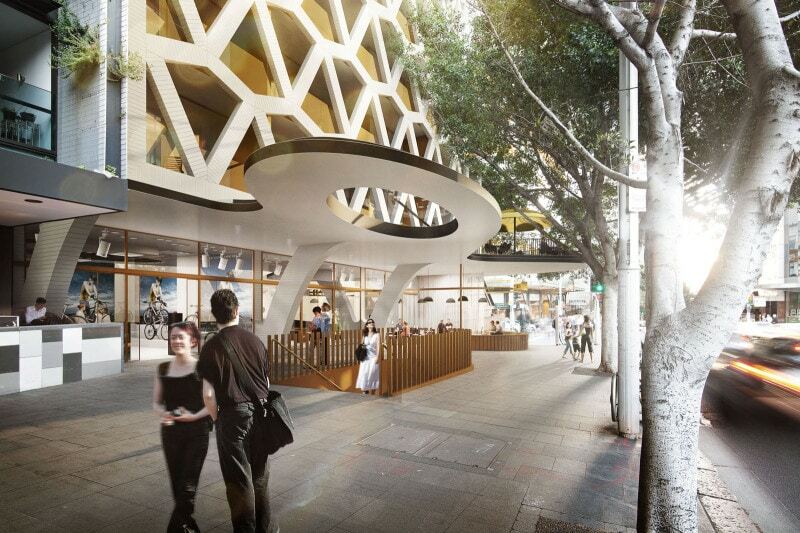 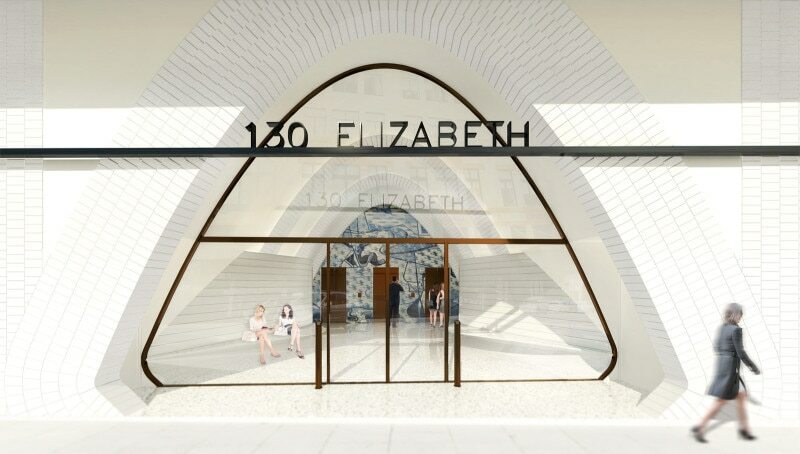 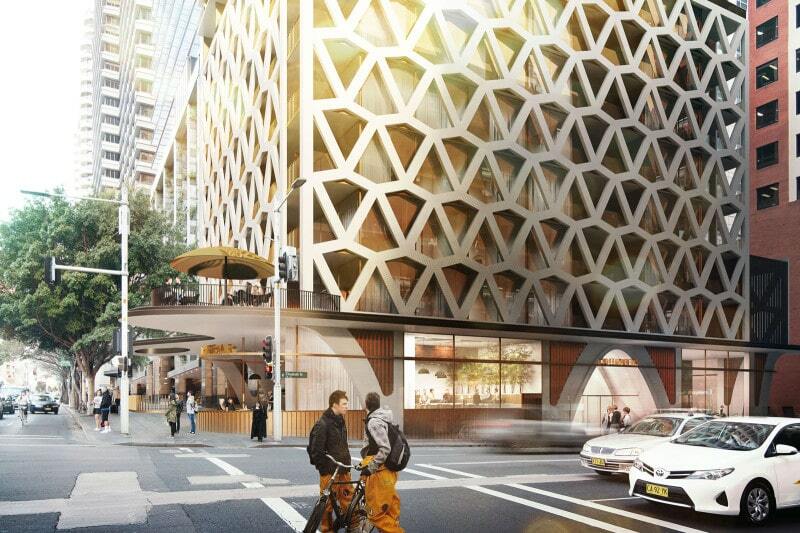 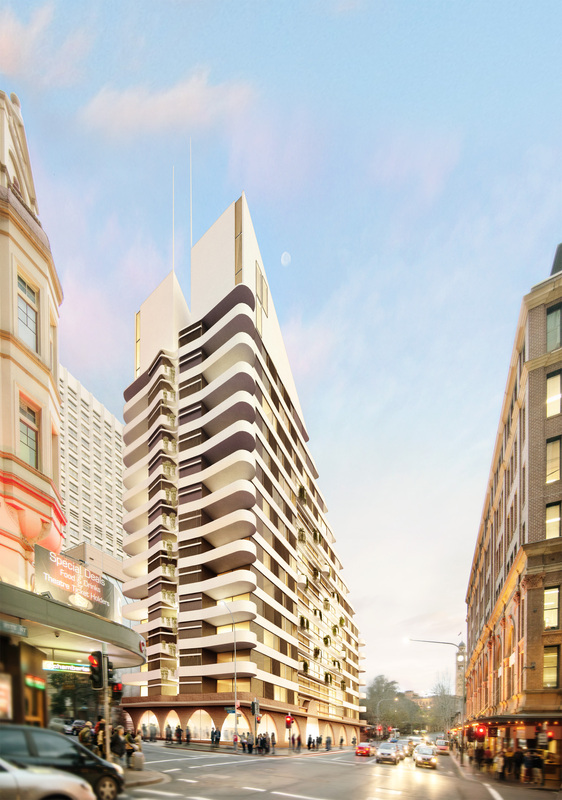 The first design is of a 40 storey apartment tower at the corner of Hyde Park on a famous Sydney intersection with a heritage building across the road, unique views over the park, similar to New York’s Central Park and with additional views of the Sydney harbour in the distance. 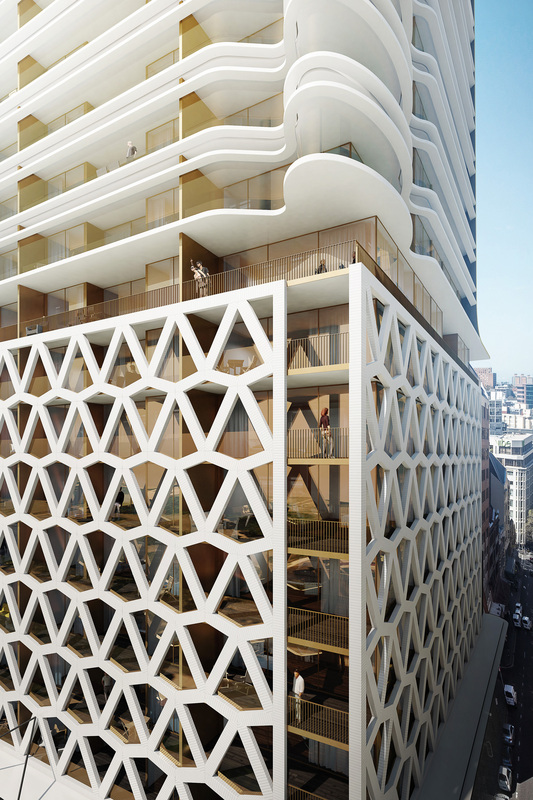 The podium of the building is clad in a precast brise-soleil structure that provides a more solid appearance to the base and sympathise with the heritage building next door. 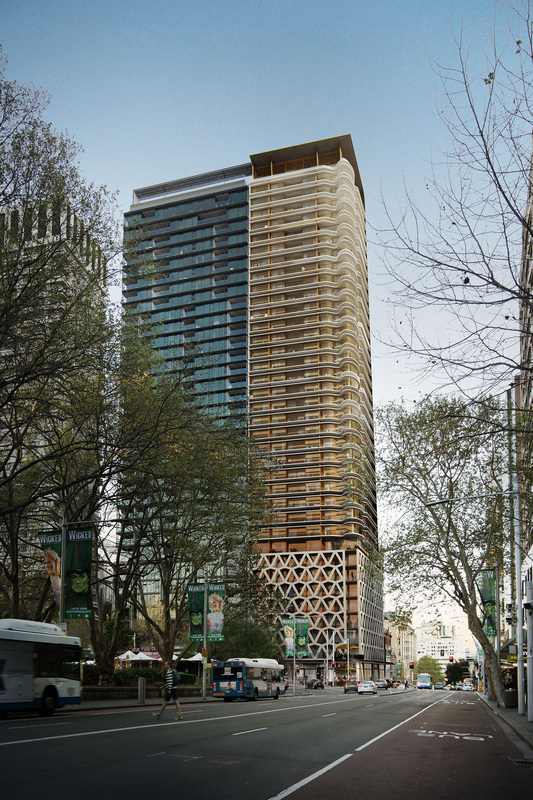 The upper levels have horizontal precast solar shades, curving around the corner of the block, the glazing is bronze tinted, and a gold anodised roof cascades down 25 storeys. 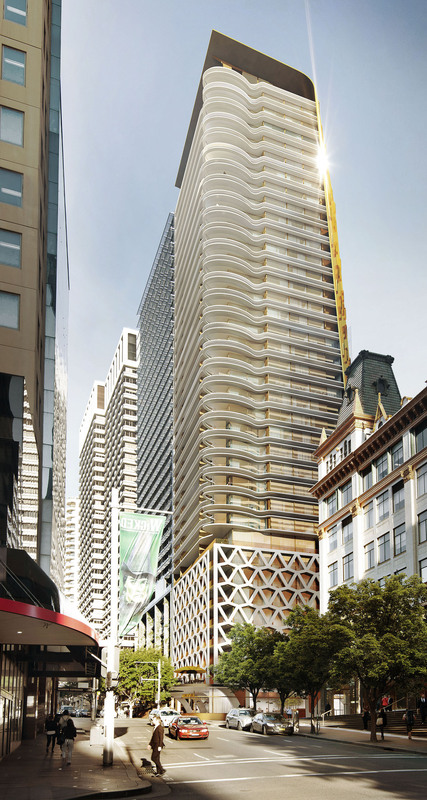 The second project is located close to the Sydney Central Station on the north side of another park. 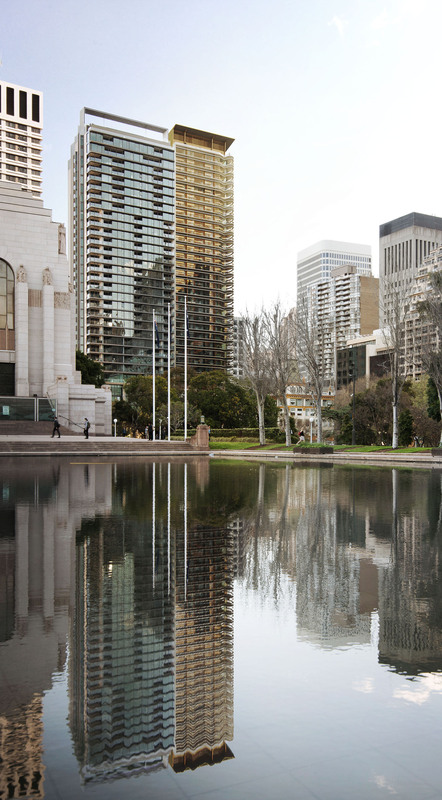 The City of Sydney Council imposed a wedge shape to the building to provide solar access to the park. 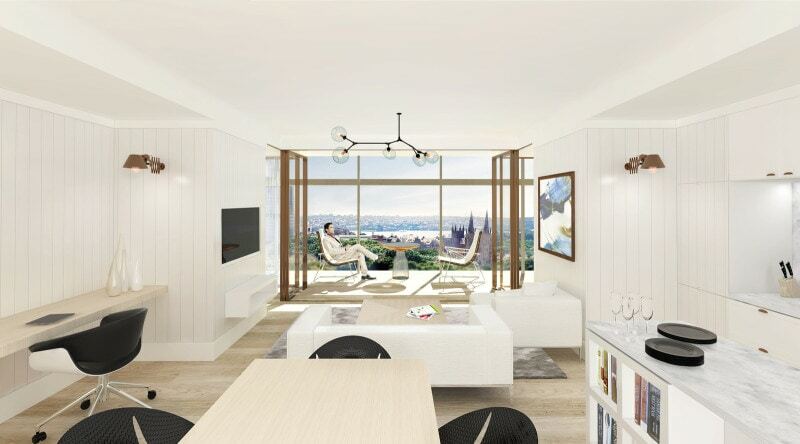 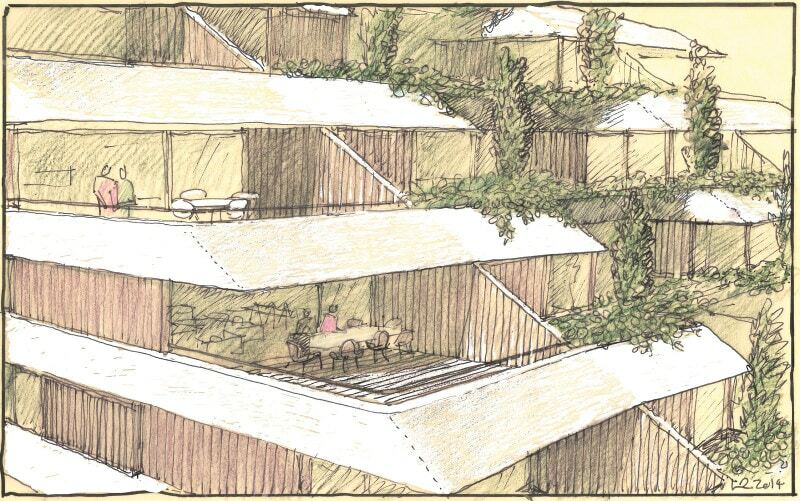 The stepped upper level apartments are reminiscent of cruising yacht decks. 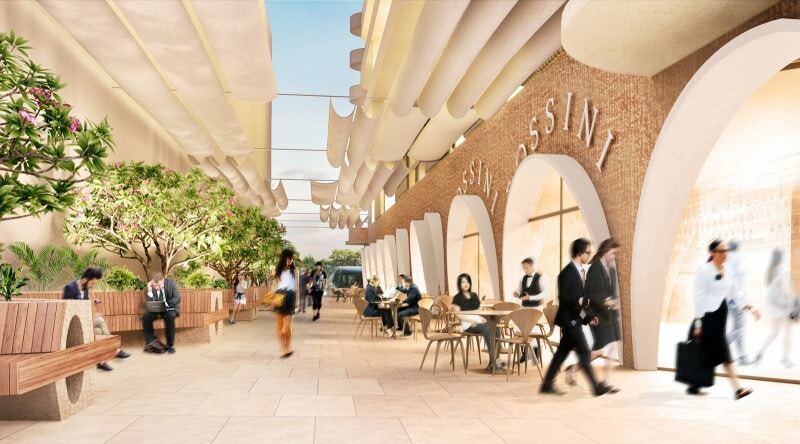 Both projects have been carried out in collaboration with the multinational architectural firm, Kann Finch, as part of a “design excellence” competition process.